Lets take a closer look at these Backwoods cookers. 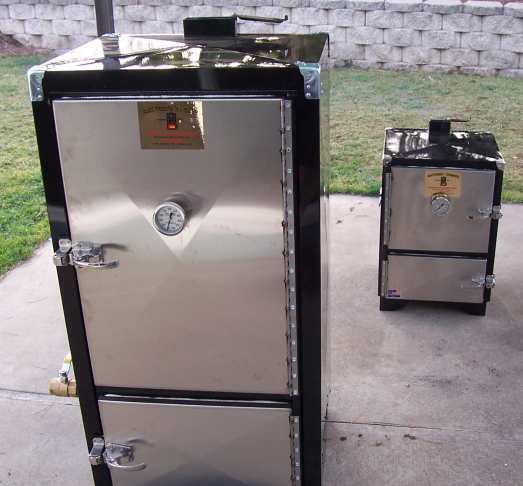 The big one in front is the Backwoods Competitor - a real work horse with plenty of capacity for BBQ competitions and catering gigs. If you like to cook all 4 meats at the same temperature then one Competitor is all you need, life is good. The smaller cooker in the background is the Chubby with the stainless steel doors option. 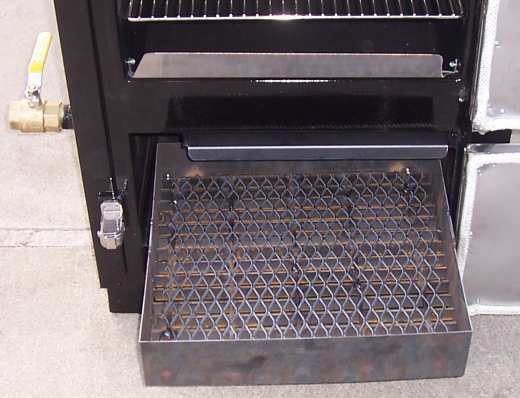 This cooker brings lots of options to the table - not just for our bbq competitions, but back yard and tailgate opportunities too. Here's the insides of the Competitor. Oh say, did I mention that both of these cookers also have the 180 degree door hinge option? And the Chubby, I suppose I should have gotten the commercial fire box option for this Chubby. It would be pimped out to the hilt with that option! 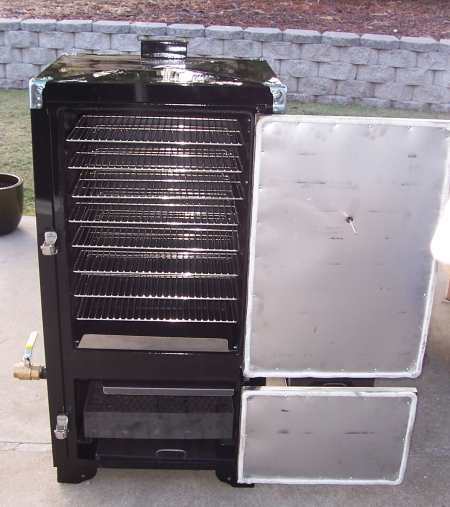 Oh well, this is a short cook cooker for ribs and chicken. If I want to do pork or brisket over night, then I'll just take it out and refill it. 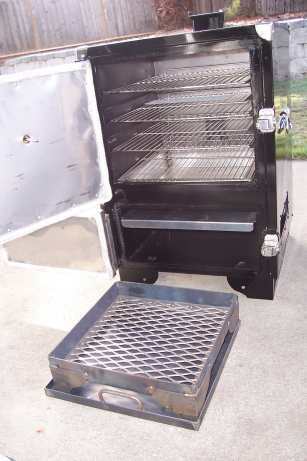 Here's the big ole firebox for the Competitor. It hooks onto the rail below so it can slide almost all the way out for tending and reloading if needed. Directly above that you can see a heat deflector that helps maintain temperature, and stop the water in the water pan from boiling away like crazy. Then above that is this flop out goo catcher. 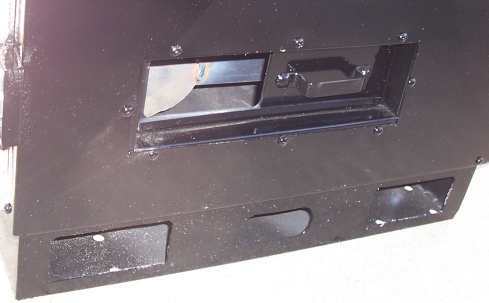 When the cook door is open, this goo catcher flips out and protects goo from falling onto the firebox door and gasket. Here's the air vent on the Chubby. The little door is all the way open showing the charcoal basket inside. These don't close quite as tight as I would like them to. I'll get that good and fixed up in short order. First up for cooking is some wings and sausage on the Chubby and some spare ribs on the Competitor.